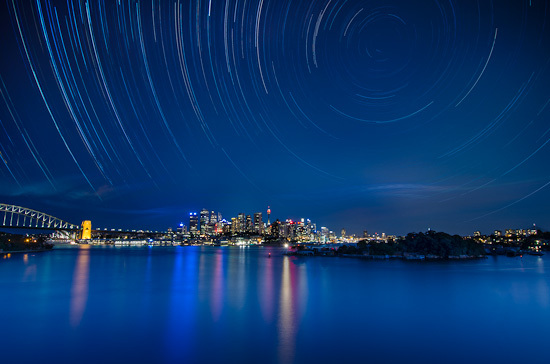 Rodney, Love the ‘city star trails’. You mention that you used 60 second exposures in the country star trail shots. With the D7000 having a max 30 second exposure time before it reverts to “bulb” and the D7000 having no way that I can see of attaching an MC-36 remote, how did you ‘automate’ the 60 second exposure?